Once, again, I had completely failed to understand what the boys would find amazing-balls. Ok, I could get that the parliament buildings may be a bit dull. No demonstrations. No fireworks. No arch-villains threatening to destroy it while Batman is climbing out of a well in Afghanistan. But guess what they loved about the downtown tour, (part 1), the most? I’ll tell you in a bit. My plan was simple – if monumentally naïve in its scope. I didn’t say we were going to do a lot of walking, but we were. I said something like “we’ll do some ‘sight-seeing’.” God help me if they ever figured out that it’s code for lots and lots of hiking around. First, we’d park near the parliament buildings. We’d look at them. If they boys were excited to see them, I’d be stunned. Likewise with the empress, but we’d go inside to show them where the world famous chef worked. With the busker week on, we’d see if there were any interesting acts to watch along the harbour front. Then a nice stroll along the touristie shops on Government street. No sense in walking by the water, the waterfront is mostly parking lots. Maybe there’d be something they could buy at a souvenir shop. Maybe they’d see a postcard they could send to their grandparents. Oh, wait, hold on, that’s not a bad idea. I know I’d stop at the Rogers Chocolates, quite by accident, you understand. Sort of, “oh, my, look there, a chocolate shop, I wonder what’s inside?” (and then I’d buy my weight in candy). Laden down with purchases from Rogers, we’d head to Bastion square. I have no idea if the buskers would be there, but even if there weren’t, odds were there’d be something the Youngest can climb on. Like a big anchor or another wall or a Japanese tourist. Then we’d saunter up to the comic shops. I hoped they’d be open, but if not, they have good windows to look in. By now I suspect there would be a grumbling about sore feet and a vague, arching of the eyebrows that this is indeed a walk. However, nearby was ice cream so maybe I’d be able to distract them. Then we’d pivot around city hall which would probably be filled with hippies, hipsters or the odd scurrying politician. If someone was not playing a bongo drum or a didgerdoo, I’d be a bit shocked. Then it’d time to head back. With luck, no one would have looked at a watch or clock tower. No one would realize 3 hours had passed. By the time we’d get back to the car, the boys would be a bit tired, we’d all be ready for a nice lunch and then we’d head off to see my in-laws. Well, it all depended on us getting out about 9:30. We got out at 11:30. So we had to split the tour into 2 parts. Here’s the condensed version. The sun was out, brilliant and bright in the sky, a perfect day for picture-taking and eating ice cream. But we needed a hat for the Oldest. 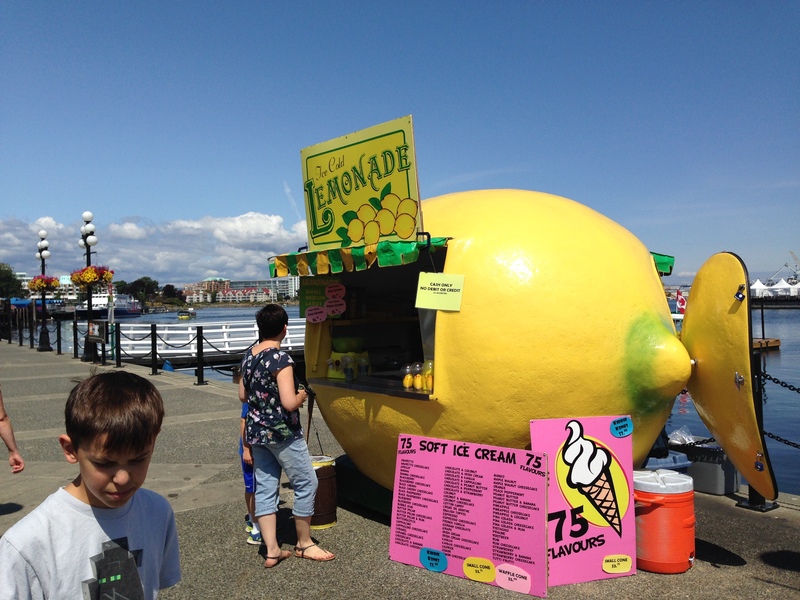 So, after parking, we made our way to the Inner Harbour and saw a hat seller right on the harbour walkway… right beside a lemonade stand… that served real, honestly real, lemonade. The hats were wicked expensive so we contented ourselves with the lemonade and pictures of all the boys being a totem pole. As we wandered along the Inner Harbour, we all watched in horror as a creepy guy in a top hat (later to be identified as a horse carriage driver) stopped and scratched his bum. Now, I’m not talking about a quick, one-two, is-anyone-looking scratch, no, he snaked a hand down the backside of his pants and dug in deep. Like he was hauling out a diamond or something, like he was adjusting a kilo of coke up there, like he had hidden the rabbit from his hat where the sun never shines. I laughed. This is something you’d see in Surrey, not Victoria, but times have changed here. Satisfied, the bum-itcher moved on after about 3 min of mining, and we moved on to the shops. Hey, we still needed a hat. Worst case, there’d be one at the Bay Center. And here is where I the boys had the best time. Not surprisingly, it was filled with moose stuff. Moose t-shirts, moose hats, moose hats with moose antlers, moose candy, little plastic mooses, big plastic mooses, books about mooses, postcards with mooses. About the only thing missing was… a moose. 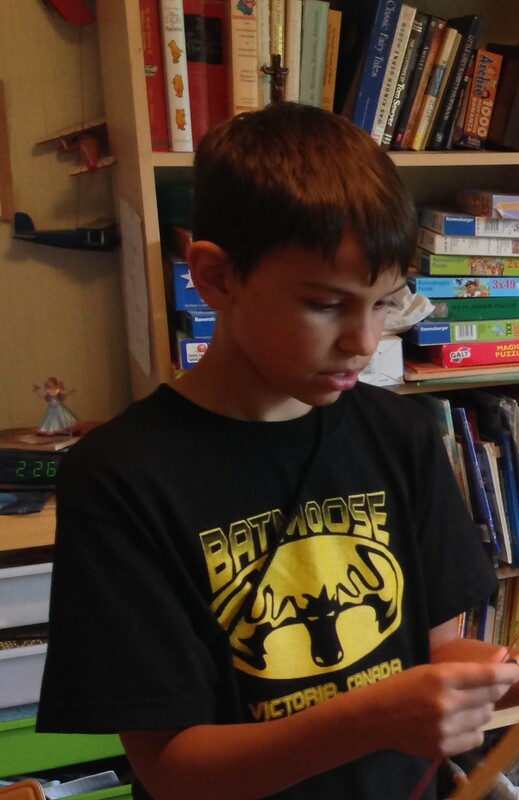 He bought himself a moose shirt – a batmoose shirt to be exact – and I bought him a hat, (with no antlers, much to his eternal sadness). We accidently stumbled into the Roger’s Shop and after eating up their entire plate of samples, we bought the best chocolates in the world. Oh the smell of that place, oh the lovely lighting that makes the chocolates glow, oh the super friendly staff who are more than willing to let you try anything knowing full well you’ll buy something eventually. But, so much for my great plan. We’d have to see more the next day. On the way back to the car, the boys suddenly found everything interesting. Can we go on it? No, probably not. Not enough time. Can we go on that? A seagull. You’ve seen them before. Another lesson for me. My planning was flawless. It always is. Right up to the moment I have to enact the plan. Then the agents of chaos intervene and my plan goes all to hell. 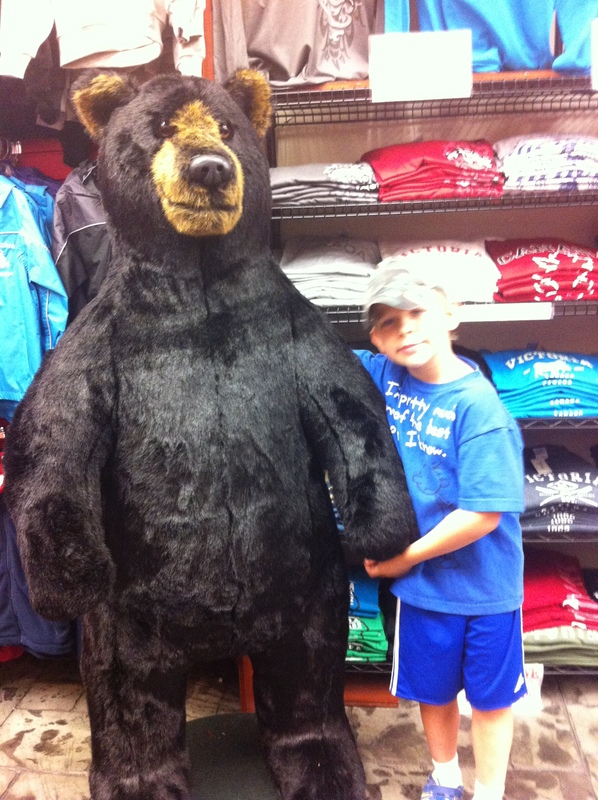 Moreover, I never, ever, never thought the boys would love something like the Moose store. I mean, seriously a moose store? But the thing I realized is to let it all unfold organically. I’ll always try and create enough opportunities for ‘moments’, but the actual moments could come from anything, anywhere, anytime. Oddly enough, this was a lesson I learned while traveling without kids. I have no idea why I thought it wouldn’t apply now. 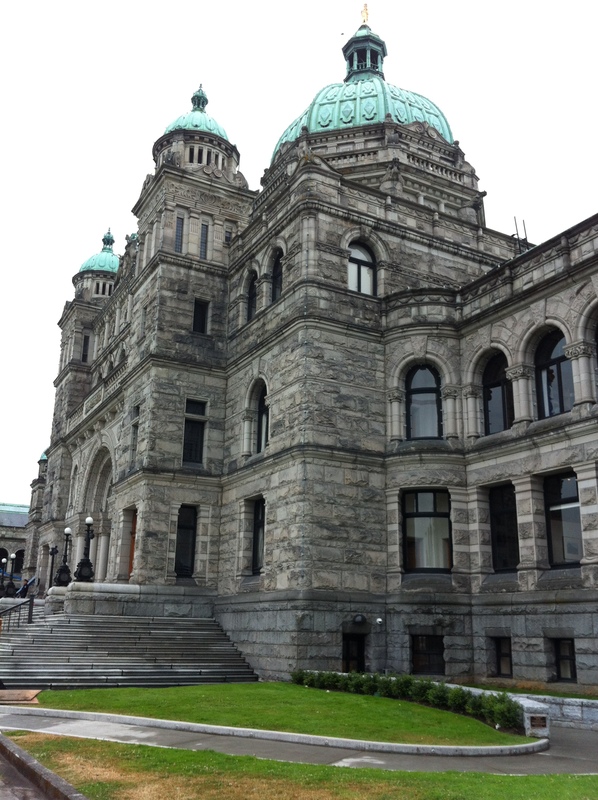 This entry was posted in Parenting, Travel, Traveling with Kids, Victoria and tagged buskers, empress, government street, Inner Harbour, parliament buildings, postcards, rogers, rogers chocolates, the oldest, the prettiest-girl-in-the-world, the youngest. Bookmark the permalink. I love Victoria! Did you know? 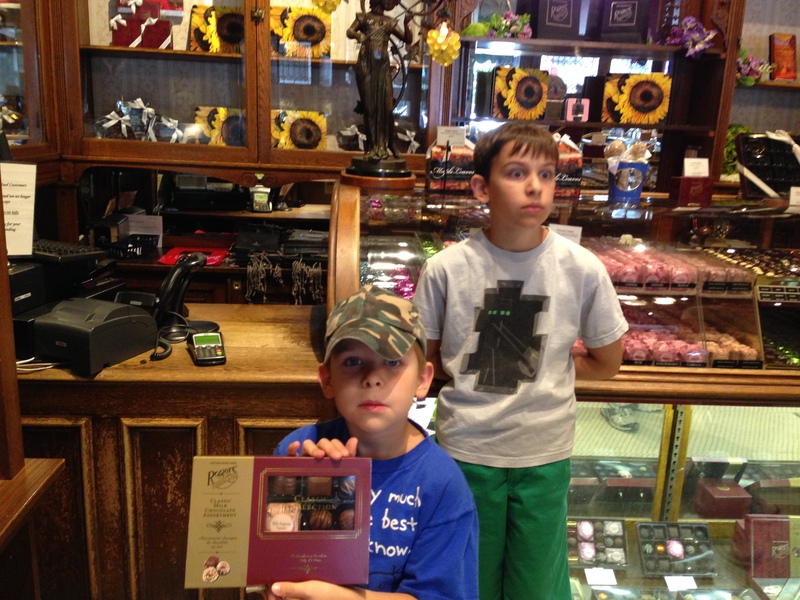 The Rogers Chocolates store is reportedly haunted by the original owners. Ask any staff member for stories! Speaking of them chocolates.. I need to get my hands on some Victoria Creams!